My photos don’t do this lovely lamp justice. The shade is in great condition and is made of fiberglass and patterned all over with tiny gold stars which pick up and reflect the light. The shade sits on a milk glass light fixture. 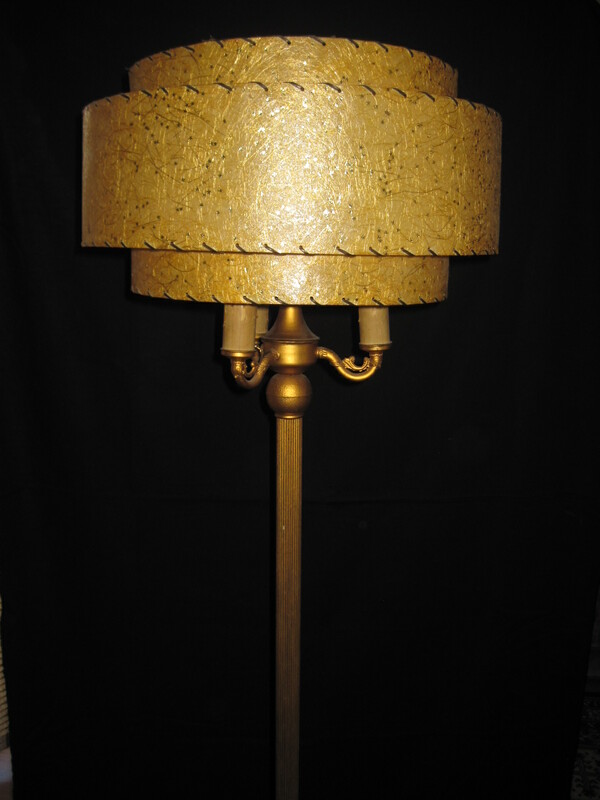 The lamp base is quite heavy and could be made of Spelter, a zinc alloy which resembles bronze. It should be rewired as the plug is old and has black tape over it. We will probably do that before putting it out at my booth for sale. 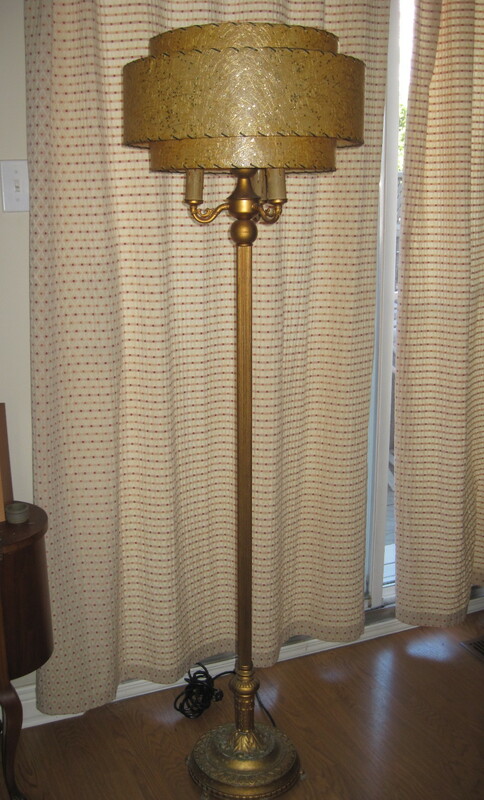 This lamp will be available at the Ottawa Antique Show at Carleton University Fieldhouse, Oct 25th and 26th 2014 where I will have a booth.